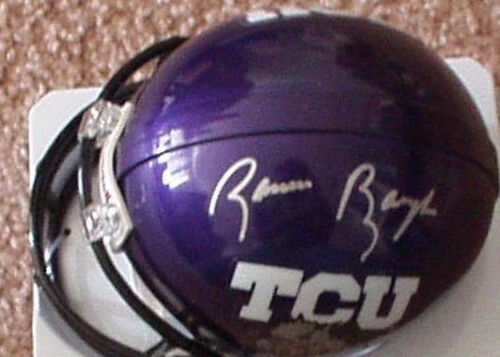 TCU Horned Frogs Riddell mini helmet autographed in silver paint by the late, legendary quarterback Sammy Baugh. From a paid signing many years ago. ONLY ONE LEFT. With certificate of authenticity from AutographsForSale.com.